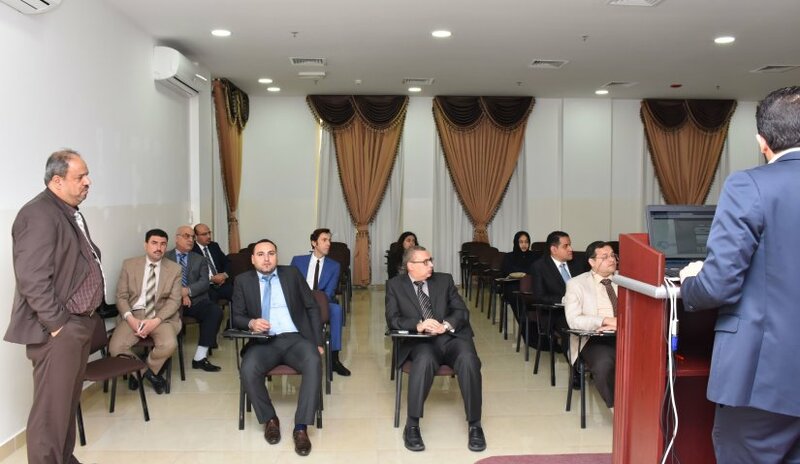 The Quality Assurance and Institutional and Effectiveness Center at Al Falah University organized a workshop on the analysis of the outputs of the course according to the standards of the Ministry of Education. The workshop covered various topics such as analysis of classroom assessment tools and examinations for each course in addition to the statistical analysis of students' results, to name a few. During the workshop, Mr. Mousab Qatami from the Information Technology Center presented an explanation on how to document the results of scientific research using programs and systems prepared for this purpose. At the end of the workshop, faculty members were encouraged to ask questions.